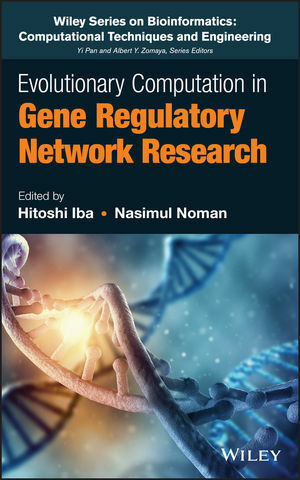 This book is a step-by-step guideline for research in gene regulatory networks (GRN) using evolutionary computation (EC). The book is organized into four parts that deliver materials in a way equally attractive for a reader with training in computation or biology. Each of these sections, authored by well-known researchers and experienced practitioners, provides the relevant materials for the interested readers. The first part of this book contains an introductory background to the field. The second part presents the EC approaches for analysis and reconstruction of GRN from gene expression data. The third part of this book covers the contemporary advancements in the automatic construction of gene regulatory and reaction networks and gives direction and guidelines for future research. Finally, the last part of this book focuses on applications of GRNs with EC in other fields, such as design, engineering and robotics. Evolutionary Computation in Gene Regulatory Network Research is a reference for researchers and professionals in computer science, systems biology, and bioinformatics, as well as upper undergraduate, graduate, and postgraduate students. Hitoshi Iba is a Professor in the Department of Information and Communication Engineering, Graduate School of Information Science and Technology, at the University of Tokyo, Toyko, Japan. He is an Associate Editor of the IEEE Transactions on Evolutionary Computation and the journal of Genetic Programming and Evolvable Machines. Nasimul Noman is a lecturer in the School of Electrical Engineering and Computer Science at the University of Newcastle, NSW, Australia. From 2002 to 2012 he was a faculty member at the University of Dhaka, Bangladesh. Noman is an Editor of the BioMed Research International journal. His research interests include computational biology, synthetic biology, and bioinformatics. Hitoshi Iba is a Professor in the Department of Information and Communication Engineering, Graduate School of Information Science and Technology, at the University of Tokyo. He is an Associate Editor of the IEEE Transactions on Evolutionary Computation and the Journal of Genetic Programming and Evolvable Machines. Nasimul Noman is a lecturer in the School of Electrical Engineering and Computer Science at the University of Newcastle, NSW, Australia. From 2002 to 2012 he was a faculty member at the University of Dhaka, Bangladesh. He is an Editor of the BioMed Research International Journal. His research interests include computational biology, synthetic biology, and bioinformatics.